When you break a tooth, schedule an appointment with your dentist right away to avoid further damage. Many panic when they break a tooth. Not to worry, there are many solutions to fix it. Schedule an appointment with your dentist right away to avoid further damage. Our teeth are the hardest parts of our body. It is coated with enamel that has the maximum percentage of minerals. Does that mean that our teeth are unbreakable? Well, the answer is a big ‘NO’. 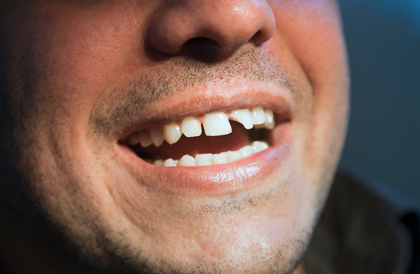 Our teeth can break and some of us may have even gone through the experience of a broken tooth. Our teeth may get chipped off, fractured or broken due to several reasons. Here are top 7 causes of broken teeth.